Right now, the precious metals market is saturated with San Antonio coins shops and local dealers that do not offer competitive prices. These “precious metals” dealers are nothing more than a vending machine that spits out the trendiest of coins, offering nothing in the way of advice for possible investors. San Antonio coin shops and dealers such as this are hardly the place where precious metals investors should start their quest into this niche. At Lone Star Bullion, we desire to not only provide gold and silver at competitive prices, but also to be your trusted advisor on precious metals investing. Our goal is to educate you on the fundamental reasons for investing in precious metals through our blog, articles, investment consultations, and seminars. We also provide the highest level of customer service in the industry by making ordering easy, guiding you in your gold and silver purchase, answering all your questions, and making the delivery secure and easy. In addition to all of that, we are a comprehensive source for all your precious metals needs with physical purchases and gold and silver IRA’s. 1. 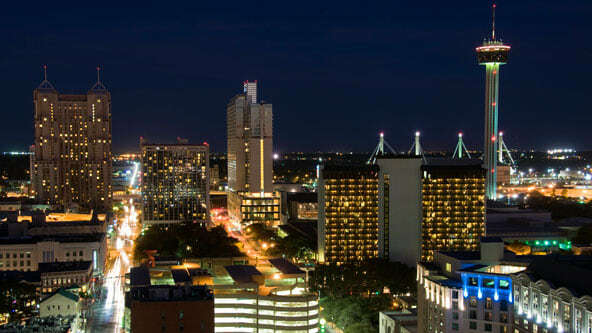 Personal Delivery in San Antonio: When our clients buy gold and silver in San Antonio, we meet them at a secure and mutually agreed upon location. In addition, any client making a precious metals purchase of $25,000 or more in San Antonio can request to have their investment personally delivered to their home or place of work. This is a service completely unique to Lone Star Bullion, as there is no other precious metals dealer in San Antonio offering this service to its clients. It is one of the reasons why our clients believe we have the best customer service in town. 2. Strategic Investment Consultations in San Antonio: Unfortunately, most San Antonio coin shops and dealers, both storefront and online, treat their customers as nothing more than a transaction. Their primary goal is to sell investors the items that will bring in the largest commissions. This is hardly the case at Lone Star Bullion, as any client buying gold and silver in San Antonio in excess of $10,000 will benefit from a personal strategic investment consultation with our President, Paul Renfro. This session is completely free of charge, with absolutely no strings attached. In our investment consultations, Paul will start with your investment objectives, assess your current financial situation, determine your basic risk tolerance, and lay out the options that best fit your current financial situation. If desired, Paul will walk you through the fundamental and economic reasons for your investment and discuss your exit strategy. 3. Place Convenient Phone Orders in San Antonio: When making a purchase with Lone Star Bullion, San Antonio precious metals investors in have the freedom to call us and lock in a price and order at that particular time. Most coin shops and dealers in San Antonio require investors to be physically present at their store or to make before placing an order. At Lone Star Bullion, we value both your time and flexibility. For those reasons, our goal is to make the purchasing process as easy and convenient as possible. 4. Place Strategic Automatic Buy and Sell Orders in San Antonio: When making gold and silver purchases in San Antonio, our clients can request Lone Star Bullion to set up an automatic buy or sell order for a particular amount of silver or gold. As an example, let’s say that you think silver will decline in value over the next few days. However, you also believe the correction will be short lived and you could possibly miss this correction if you merely watch the daily silver rates. Lone Star Bullion offers a hedging system in which we can place automatic buy or sell orders at designated spot prices authorized by the client. With this system, if you select a buy price of $30 an ounce and silver only hits this price for 3 seconds, you are guaranteed to get this price. This type of precision and strategic investment planning is not available from any other San Antonio precious metals brokers.